Manvel High School is in process of constructing a garden memorial for students who have passed away, with the help of donations from neighboring school districts. 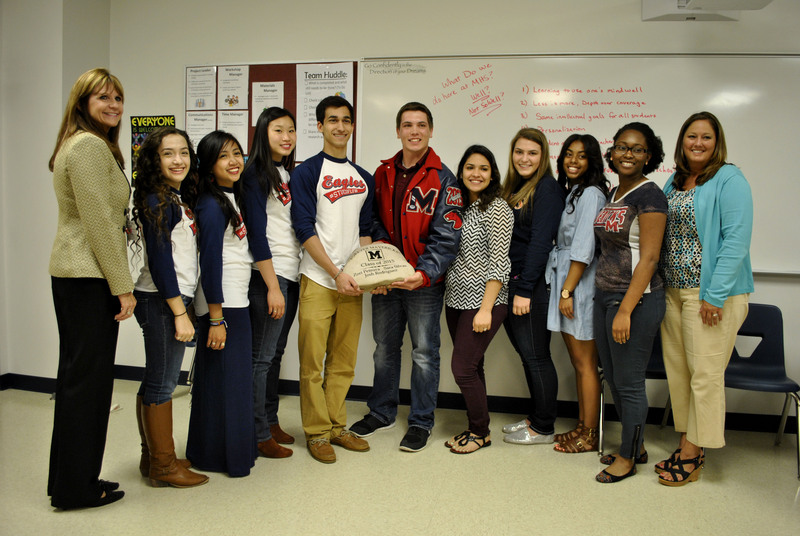 Schools such as Dawson and Deer Park have paid their respect to Manvel through their donations. A rock was donated by Dawson High School. The rock has the words “Forever Mavericks” encrypted on it as well as the names of the three students who are no longer with us. This rock will also be included in the memorial that is being planned, which will include former Manvel High School students who have passed on as well. Deer Park High School has donated about $2000 for the construction of the garden memorial. Manvel High School principal Charlotte Liptack is well pleased with the contribution from other districts. “I think it’s a great way to honor the students who lost their lives,” Liptack said.